If a healthcare organization has these pieces of the puzzle put together then they will (hopefully) rise from the disaster without losing any data, information, or credibility. Establishing a plan for when a disaster strikes can save a healthcare organization. The sections below explore each puzzle piece and how it fits in with the rest. Years before the cloud was invented, healthcare organizations kept patient data / information on hardware that lived either onsite at the hospital or offsite at another location. If a disaster were to strike the organization, the hardware would be damaged and in turn, all of the information would be lost. Having a disaster recovery plan in place with a cloud platform can save this important data that would otherwise be compromised. The cloud allows for flexibility in accessing information even if the physical organization is destroyed. The cloud can be accessed from anywhere, at any time, and on any device if internet is available. It is valuable for healthcare organizations to hop on the cloud bandwagon for storing information mainly, but not solely, for disaster recovery planning. The next puzzle piece is telemedicine. In the simplest form, telemedicine is exchanging patient information and providing care through an online or virtual platform. Patients who are affected by natural disaster but desperate for medical attention have the ability to be treated if their healthcare organization’s system is down through telemedicine. One innovative example of telemedicine is the mobile stroke unit that The University of Texas Health Science Center at Houston (UTHealth) Medical School, in partnership with Memorial Hermann-Texas Medical Center and powered by Ambra’s image sharing platform. The mobile stroke van allows imaging to be sent back to a physician to determine if a stroke is occurring and whether to administer life-saving clot-busting tPA. Although the mobile van at UTHealth is a unique example, other facilities can incorporate something similar into their planning to utilize telemedicine. The value to patients who are injured or sick is extremely high, as well as to their providers who cannot properly care for them due to system failures. Once the first two pieces are put together the third will perfectly fit. According to the study, Use of Telemedicine in Disaster and Remote Places, of all problems to arise from natural disasters, “one of the most serious centers on communication, specifically, the lack of appropriate means to efficiently collect, process, and transmit important information in the midst of a disaster.” Although means of communication can be compromised when disaster strikes, emergency communication systems (including contingency systems), should be prepared in case communication lines are down or unreachable. 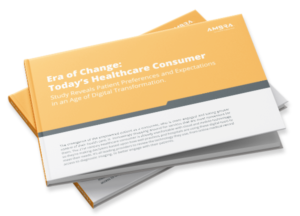 While communicating is key for healthcare organizations, it is even more key to create a plan. Rick Cook puts it well in his article Disaster Recovery Demands Smart Planning, “Just because it’s something you don’t want to think about, doesn’t mean you shouldn’t think about it.” It can seem like a headache to plan and implement, but it is possible to form one cohesive disaster recovery plan with the above pieces. Healthcare organizations should not continue to pushback creating these plans because of the time, money, or resources it will cost them. Credibility is one of the biggest values to creating a disaster recovery plan in healthcare organizations. Decision makers must plan for a potential disaster as it is valuable for the future success of the organization and as it is a valuable part of patient-centered care.